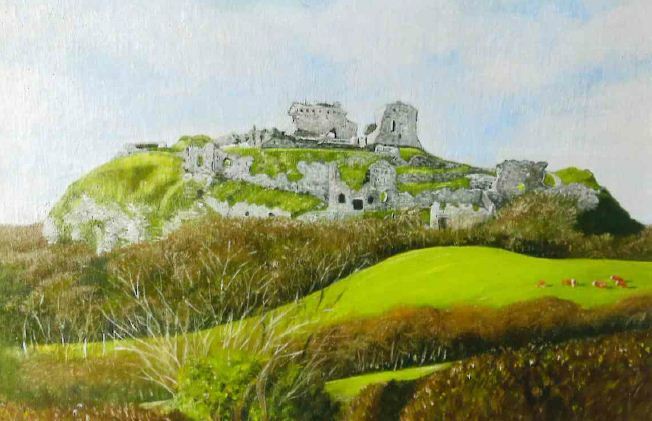 Mary Lee Murphy is an artist based in the Sligo countryside but originally from Waterford. Mary’s work has been widely acclaimed with thirteen solo shows to date and participation in numerous group, open submission, and invited exhibitions both at home in Ireland and abroad. Her work is in many public and private collections. 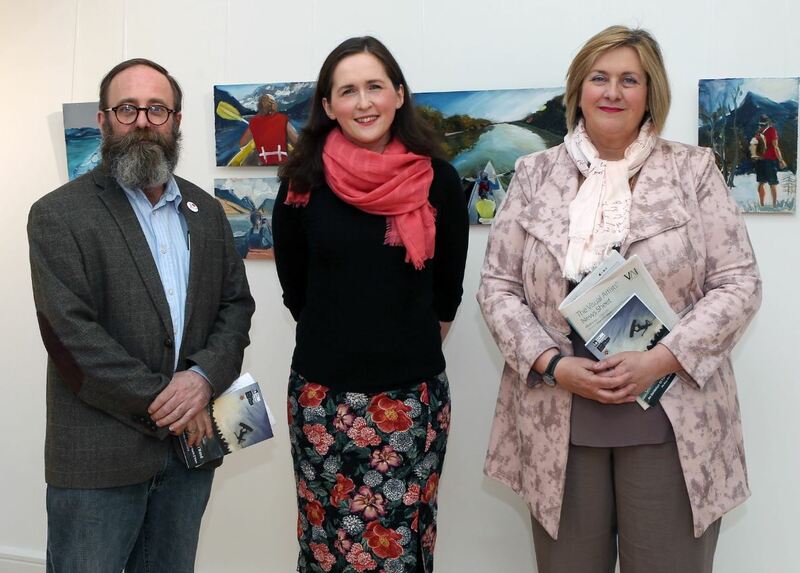 The artist and her work has also featured in a short documentary produced by TG4. The exhibition runs from Saturday 11th March to Thursday April 13th 2016. 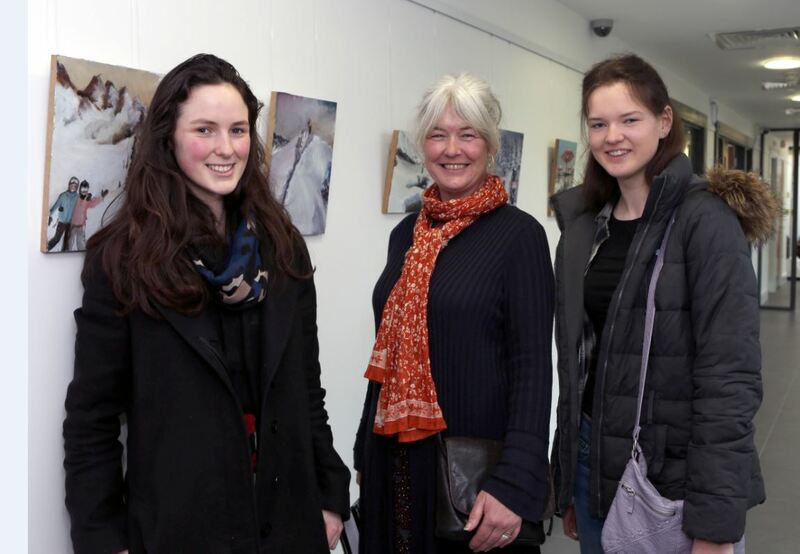 A wonderful mix of multimedia artwork by Mette Sofie Roche entitled “Related to Life” opened on the 17th November and was launched by Curator Susan Boyle. 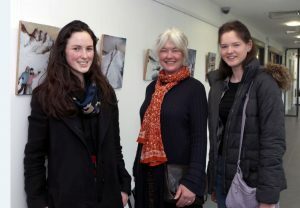 Family members- Chloe Hayes , Mette Sophie Roche , Adam and Peter Roche, pictured at the Opening of Mette Sofie Roche’s Multimedia Exhibition at Laois Arthouse ,Stradbally . Mette is originally from North-Norway but has lived in Ireland for more than 40 years and runs a full time art practise from her studio in Co. Meath. After a 30 year professional career as a social worker she graduated from NCAD in 2011 with a Diploma in Art & Design. She is a process oriented and multidiscipline artist who uses a wide spectrum of both materials and methods in her art practise. What she is interested in is to take real life objects or materials and turn them by some inspired, secret process, into something else; related to life in some way, conceptual or otherwise, but stronger, more intense and preferably weirder. 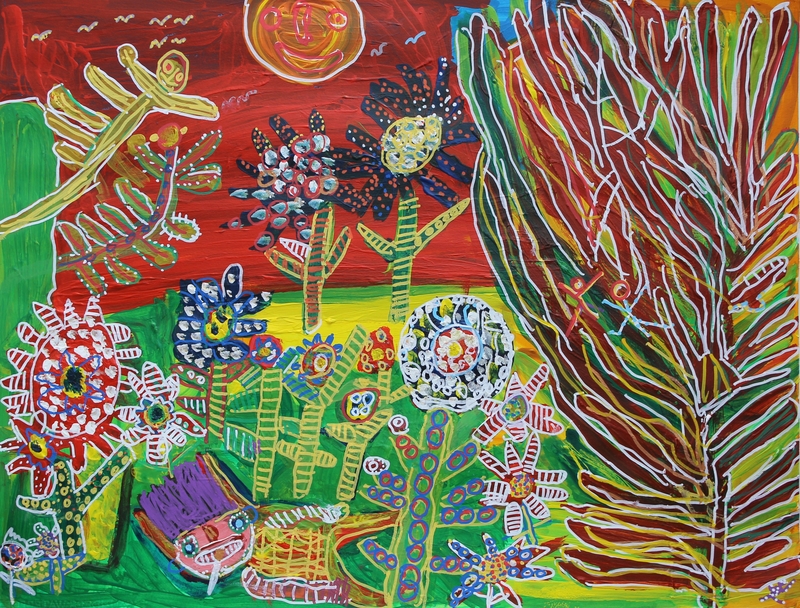 Research into the cultural traditions, beliefs and myths of the Samé People in the Northern hemisphere, her ancestors, has given direction to her art work in the last few years. It is a culture in transition with influences from many different directions both religious, political and economic. Only traces and fragments are sometimes left of the ancient traditions and the knowledge of nature so vital to a traditional Samé community. The sculptural installation of Tatterlings symbolises the deterioration of the old way of life and is made from the synthetic fiber found in workmen’s suits. A collection of drawings and silk paintings are further fragmentations of these sculptures. She explores the old craft of candle making in her wall mounted and freestanding wax sculptures which are inspired by the old Samé ‘s belief in Totemism; believing in the power of inanimate objects to hold “conscious” spirits that interact with society. The land inhabited by the Samé have been fought over, claimed and contested for generations. The sculptures Inherited Landscape and Subject to Inquiry make references to the many litigation processes. In Whitescape, the memory and knowledge of the landscape are in the folds and layers, twists and turns of organically shaped rags from re-cycled cotton bed linen. And then I paint by Lorna Corrigan opened on Saturday 15th Oct and ran until mid Nov. The exhibition was officially launched by artist Elizabeth Cope and was a great success with most of the works selling at the launch. Lorna works on canvas and paper with acrylic paint, pastel and acrylic marker. She embraces a range of subjects in her artworks which are inspired by her dreams and also taken from her memory or travels to places like Australia, France, Denmark and America. 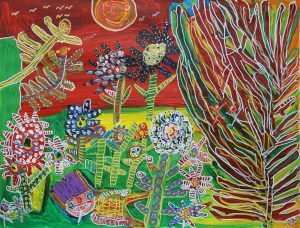 Working with bright, bold colours, assured lines and repetitious patterns she paints and celebrates people and the world in general. From the young age of 5, when she poured a can of red paint over herself and a dull grey tractor, Lorna has considered herself an artist. Lorna is a member of the KCAT Studio in Kilkenny. 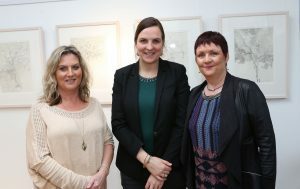 She has shown work in many exhibitions in Ireland including at Ormonde College and County Hall Kilkenny, Kilkenny Arts Festival, St. Luke’s Hospital Kilkenny, Dunlavin Arts Festival Wicklow, Kilkenny County Council Arts Office Gallery, Kilkenny Design Centre, Airfield Trust, Garter Lane Arts Centre, Áras Éanna, Burren College of Art, Waterford Regional Hospital, Axis Art Centre Ballymun, Crawford Art Gallery, Dublin City Council Offices, Butler Gallery Kilkenny, City Hall Cork, Copperhouse Gallery Dublin. She has also shown internationally including in Scotland, Australia, Switzerland, Luxembourg, Germany, The Netherlands. 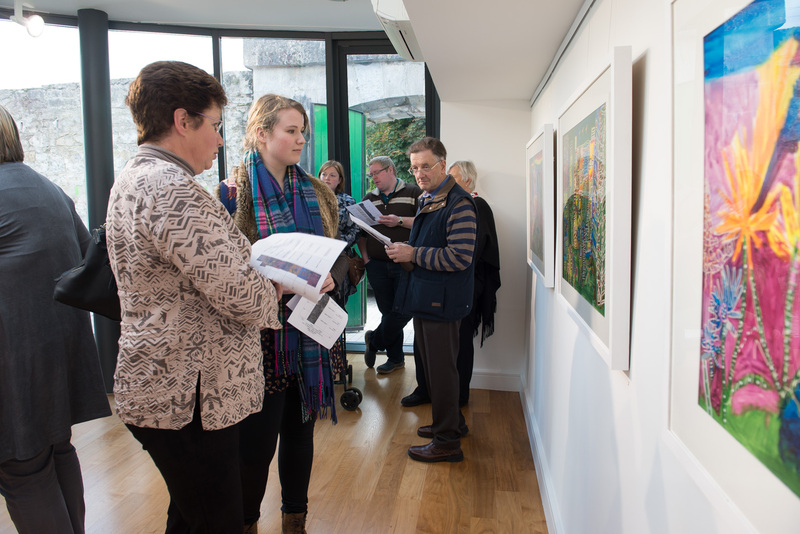 Lorna’s work is featured in a number of publications, documentaries and catalogues including “Beyond: Irish Outsider Art 2015” and “Living Colour”, a feature documentary based on the KCAT Studio artists. A native of Kildare Lorna now lives in Carrick-on-Suir, Tipperary. “Related to Life” A multimedia exhibition by Mette Sofie Roche The exhibition runs from Thursday 17th November to Friday 9th December Mette is originally from North-Norway but has lived in Ireland for more than 40 years and runs a full time art practise from her studio in Co. Meath. 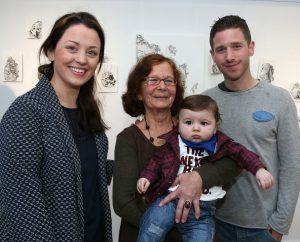 After a 30 year professional career as a social worker she graduated from NCAD in 2011 with a Diploma in Art & Design. Most recent exhibitions included an exhibition of paintings, entitled ‘Another Reality’ from Limerick based artist, Nuala O’Sullivan, in September. Nuala’s interest in the aesthetic and culture of the 1950s period and the friction between outward appearance and hidden restriction, come together in this series of paintings. The works reference family Super 8 movies and photographs from the 1950s and 1960s period. Within the work many thin layers of paint are used to allow some of the light from the canvas to remain, reminiscent of holding a negative or piece of old celluloid film to the light. ‘Through my painting I want to intervene and interfere with the still image. This interference with the original image involves bringing colour, new scale, and new meaning to the images; bringing the viewer’s attention to the surface of the painting, and in so doing to show the passage of time within the final painting. Through painting these photographic images they will have an afterlife.’ Living and working in Limerick, Nuala O’Sullivan was awarded her BA in Fine Art (Painting) from Limerick School of Art and Design in 2006 and completed her MA in 2013. 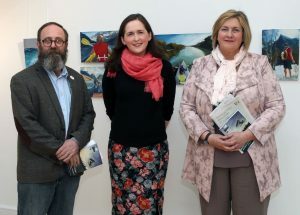 In July the Arthouse Gallery, presented Night Shade Sound Scape an exhibition by Leitrim-based artist, Dorothee Kӧlle, officially launched by Enda Coyle-Greene, Poet and winner of the Patrick Kavanagh Award. The work included paintings, collages, assemblages, and an installation reflecting the gallery space, the artist environment, and outer and inner experiences. Spontaneous creation, contemplation and analytical reflection go hand in hand during her process of working. A constant juggling between flexibility, openness, control and boundaries. The idea of a journey of travelling without knowing the outcome is reflected in searching and discovering different approaches in her art practices. 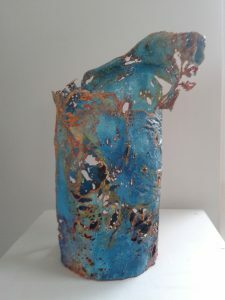 Dorothee Kӧlle has exhibited in various venues in Ireland such as in the RHA Annual Exhibition, IONTAS, Sculpture in Context and other selected or invited group shows since 1991. She completed the three years Sculpture Course in Manorhamilton, and graduated in Fine Art at Sligo IT in 2005. 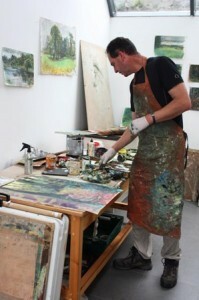 ‘On My Green Way I Wend’ an exhibition of paintings by Tipperary born artist Maria O’Brien took place in May. 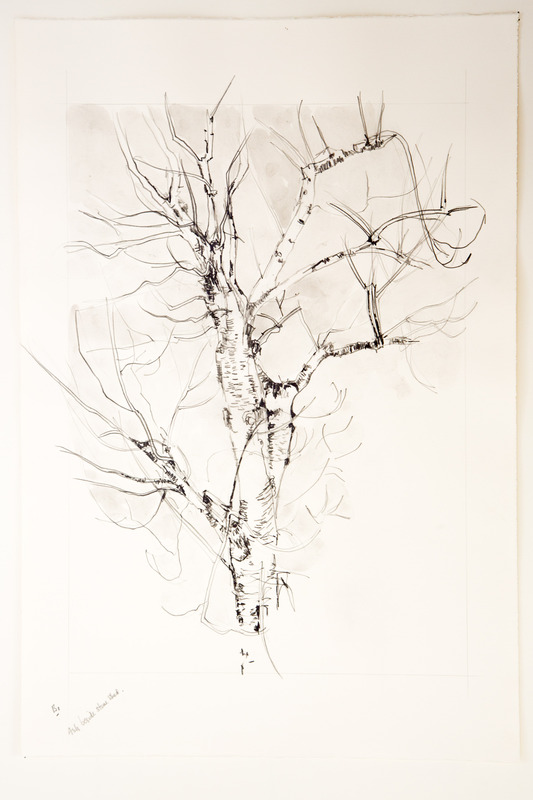 A new body of work, created during her residency in The Laois Arthouse, reveals a renewed exploration into landscape for the artist. 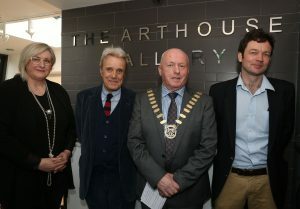 The exhibition was officially opened by Noel Kelly, CEO of Visual Artists Ireland. The work explores humans engaging recreationally with the outdoors – using nature for their own diversion and entertainment with all the paraphernalia this involves. 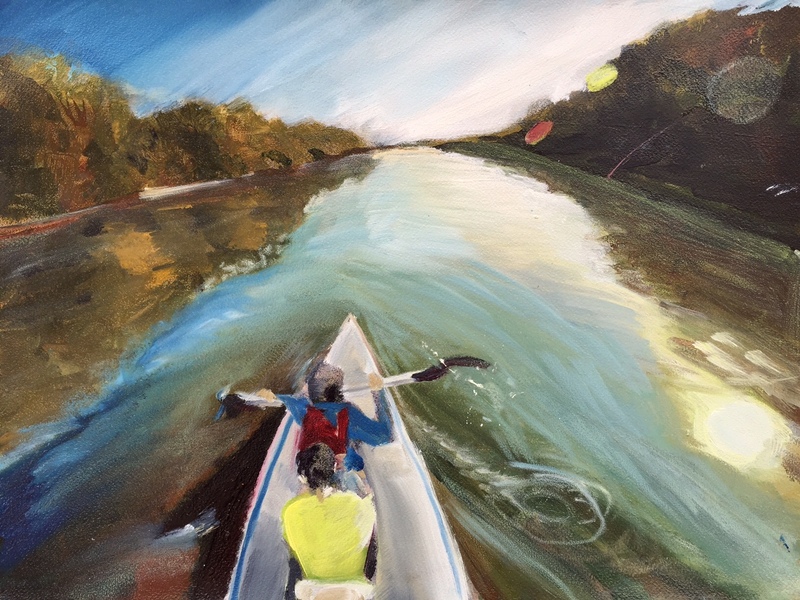 Action shots are painted quickly and deftly capturing the energy and spontaneity of the interaction between humans and their surrounds. O’Brien draws attention to how bizarre the human struggle to engage with nature often seems. She highlighted this through her palette, the often ostentatious coloured garb jumps out against the natural background. She paints people who want to be seen; a basic human desire. As much as wanting to be seen is innate in human nature, so is wanting to watch others, in the artist’s case painting the memories of perfect strangers. It is through her observation of the human in their surrounds, through her choice of content and rich surface, that the artist has created a new platform from which we, the audience, can vicariously people-watch ourselves. Studios and Apartment now available at The Laois Arthouse, Stradbally, Co Laois. 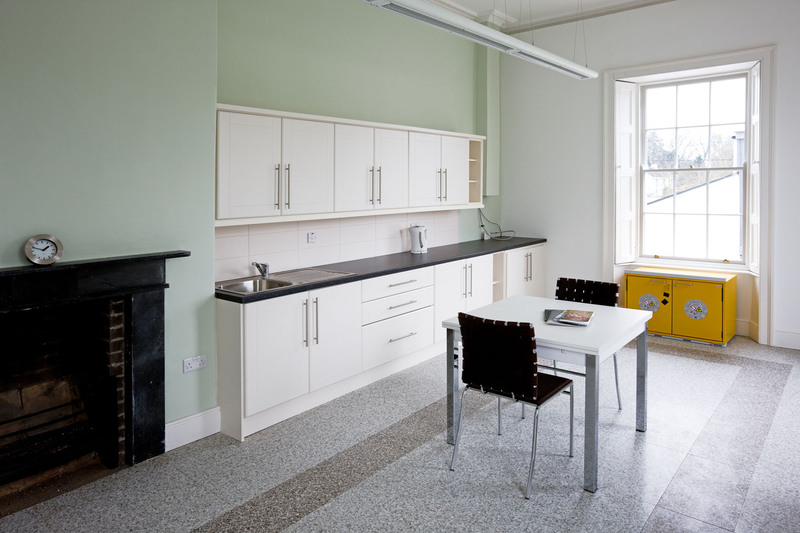 Facilities include: Artists Studios, Exhibition Space, Rehearsal Space, Kiln, Garden, digital facilities, public library. One of the most significant exhibitions of Irish artists in recent years will be launched in glór Ennis this December ahead of an extensive nationwide tour. 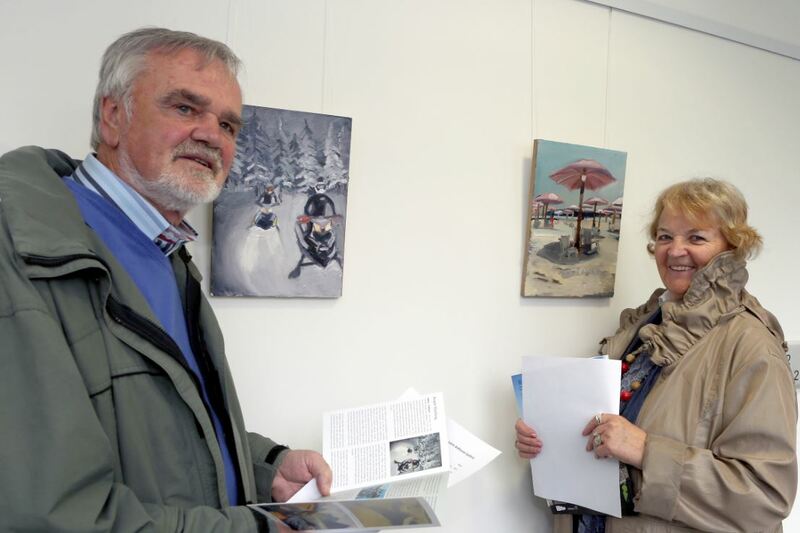 The exhibition marks 30 years since Local Authorities embarked on providing for the arts locally, featuring 30 artists and 30 places. 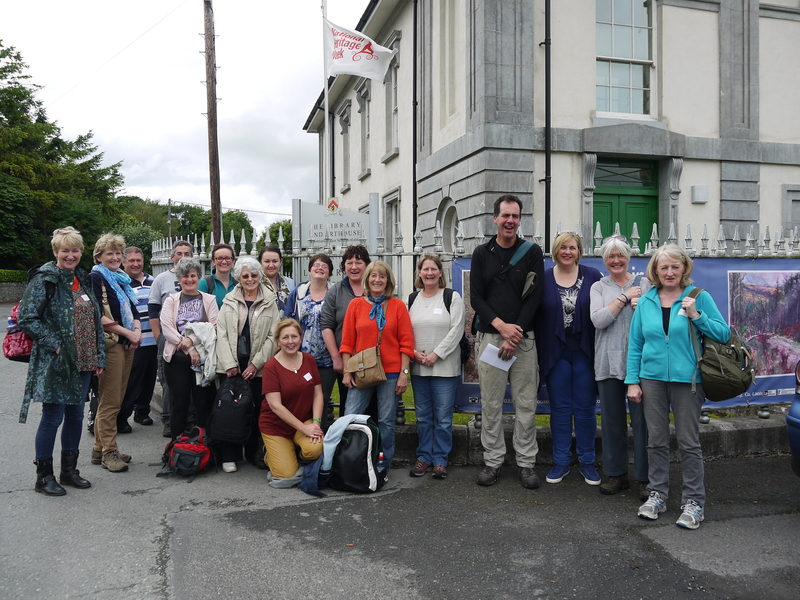 The En Plein Air residency and exhibition by Jock Nichol held in the Laois Arthouse in July 2015. En Plein Air is a phrase used to describe the act of painting outdoors, also called: peinture sur le motif (“painting of the object(s) or what the eye actually sees”), where a painter reproduces the actual visual conditions seen at the time of the painting. Opens Monday to Friday, 11th to the 26TH June, 1-4pm or by special appointment. 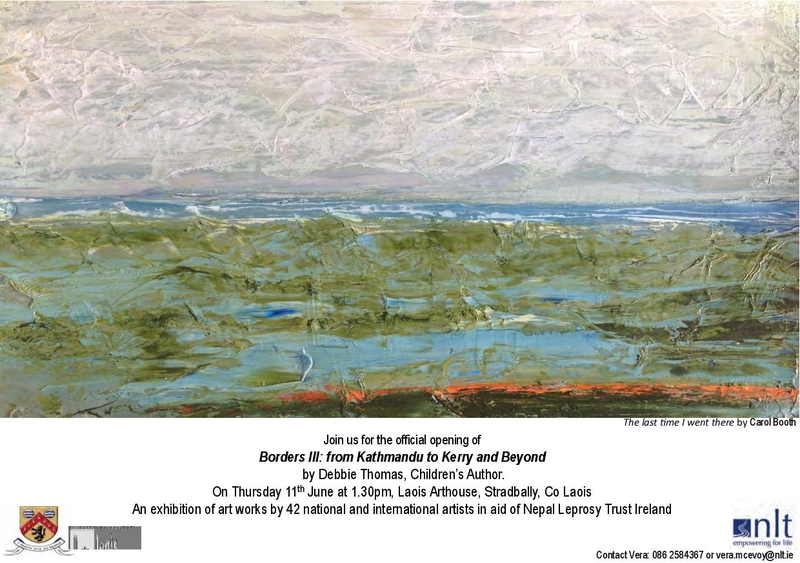 Sales from the Art Exhibition are in aid of Nepal Leprosy Trust Ireland. 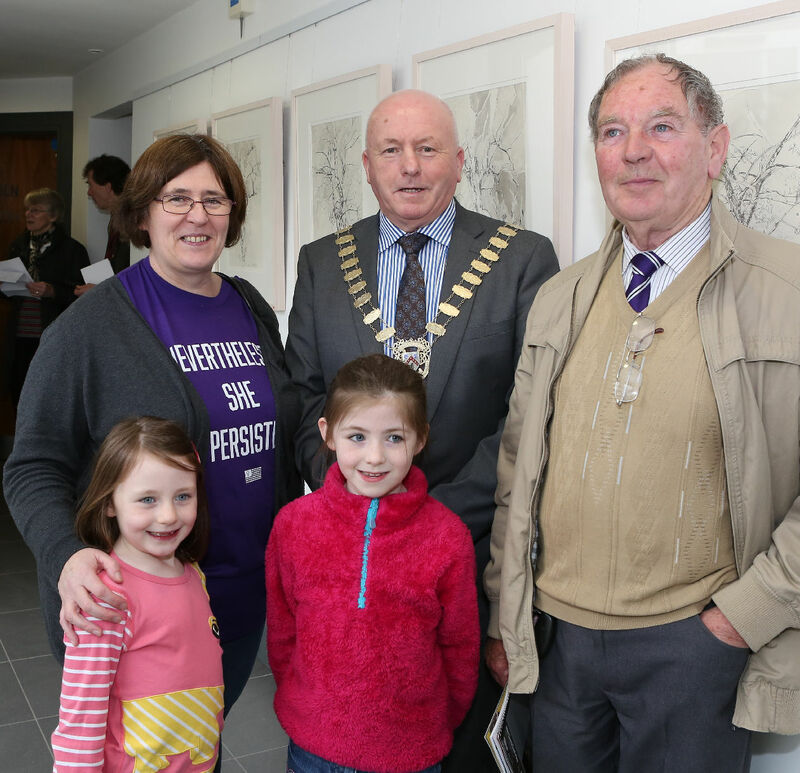 Thursday 7th May at 6pm saw the official launch of the Annual Kilbride Studio Art Exhibition in the Laois Arthouse. A great crowd turned out to celebrate the work of the artists. The Cathaoirleach of Laois County Council launched the event and he was glowing in his praise for the work, the artists and the art tutor with the group, Una McCormack. The paintings are available for sale at really good prices, so come along and view the show from now until Friday 29th May. Opening hrs 1pm-4pm from Mon-Fri or by appointment T: 057 8664033. In a land that mourns the recent loss of material wealth, we sometimes have to stop and look at the richness that is all around us. Richness abounds in the Midlands and often it is free for us to enjoy; no money need change hands. Standing in the dusky evening as the light fades across the Slieve Blooms, monasticism ever present, castles, grand houses, burial sites, folklore, and hidden secrets beneath your feet as you walk the bogs and “the dark mutinous Shannon waves”. [i] In such moments it is difficult not to feel the rich pull of history and ancient culture and how it juxtaposes with the now, in the Midlands. Ghost estates, emigration, modern settlers, and orbital routes. Arteries pulsating with high speed traffic through the Midlands, often whirring over hidden gems. In collaboration with Damer House Gallery and at the invitation of Muireann Ní Chonaill, artists associated with the Midlands have responded to the theme of Saibhreas, which means richness and abundance in Irish. Ranging from photography, print, painting and sculpture to film and audio, each artist has been influenced by people, surroundings and the life of the Midlands. The artists: Aisling Conroy; Brendon Deacy; Brian Redmond; Caroline Conway; Cathy Carman; Eileen McDonagh; Eoin O’Conaill; Jerry Cahir; Jock Nichol; Ken Wardrop; Lisa Fingleton; Lorraine Walsh; Michael Boran; Niall Cahìr; Nick Miller; Nuala Hayes; Pat Fitzpatrick; Ray Murphy; Rita Duffy; Ruth Barry; Sharon Murphy; Simon Burch; Stephen Loughman; Vera McEvoy and Wendy Wright. Curator: Muireann Ní Chonaill is Arts Officer in Laois County Council and Manager of the Laois Arthouse. 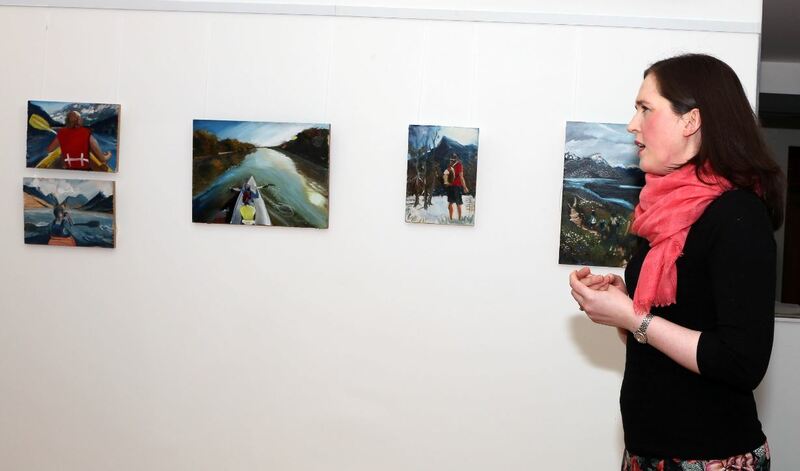 She is a graduate of Arts Administration from UCD and has an MA in Visual Arts, specialising in Curating from IADT. She oversees the management of the Laois Arthouse in Stradbally. 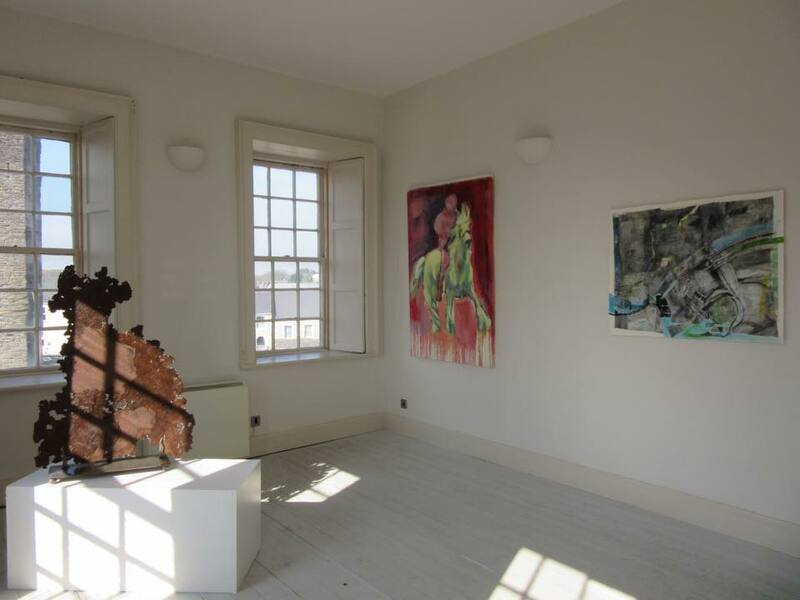 Last year she curated the Sitting residency by Nick Miller in the Laois Arthouse. 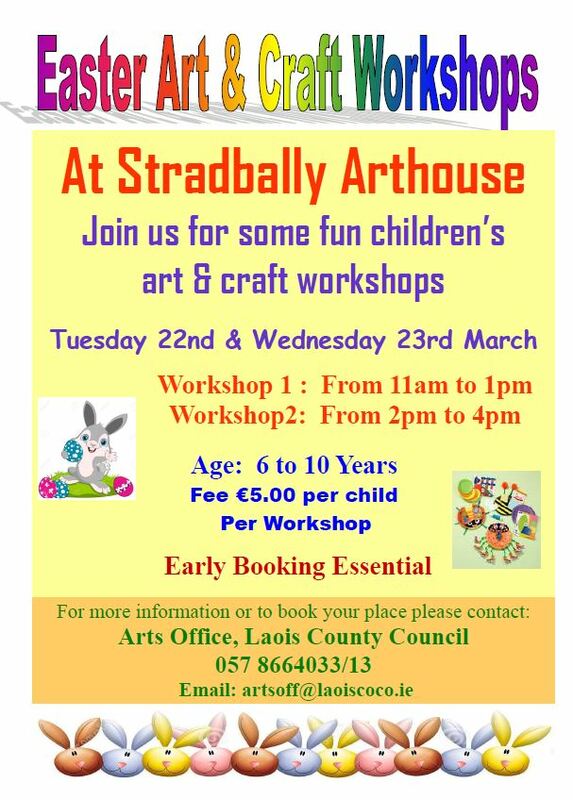 Thanks Laois County Council Arts Office for assistance. Special thanks to Wendy Wright for curatorial assistance in preparation of Saibhreas. Exhibition runs until Sunday 10th May. 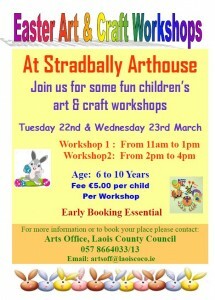 For more information contact: The Arts Office, Laois County Council, Áras an Chontae, Portlaoise, Co Laois. T: 057 8664019. E: artsoff@laoiscoco.ie. Or Damer House Gallery E: damerhousegallery@gmail.com.